The holiday season is a special time of year. Most of us make an extra effort to reach out to loved ones and friends near and far, sending personalized holiday cards to share news about our lives, our families, and the things we hold most dear. Choose from our wide selection of styles in Christmas cards, holiday cards, Hanukkah cards, New Year's cards and holiday party invitations too. Upload your own photo(s) and tailor your message to personalize your favorite design quickly and easily online. Customize your card even more, choosing from additional selections, such as flat or folded cards, backside printing, envelope liners, pre-addressed envelopes, and more. 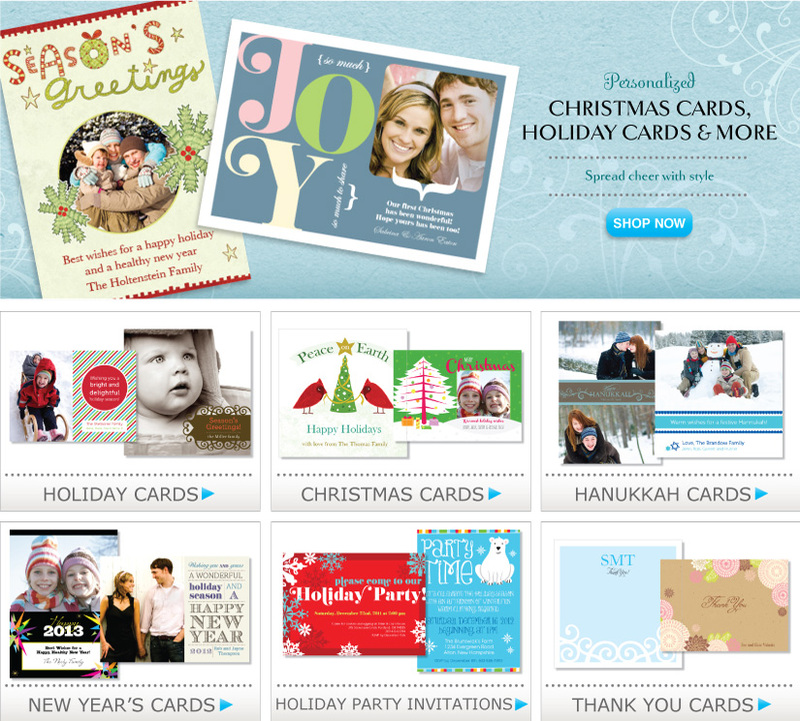 We can also address your holiday card list for you as an additional service! Make an extra impact this year by sending stylish, unique holiday photo greeting cards from LookLoveSend.